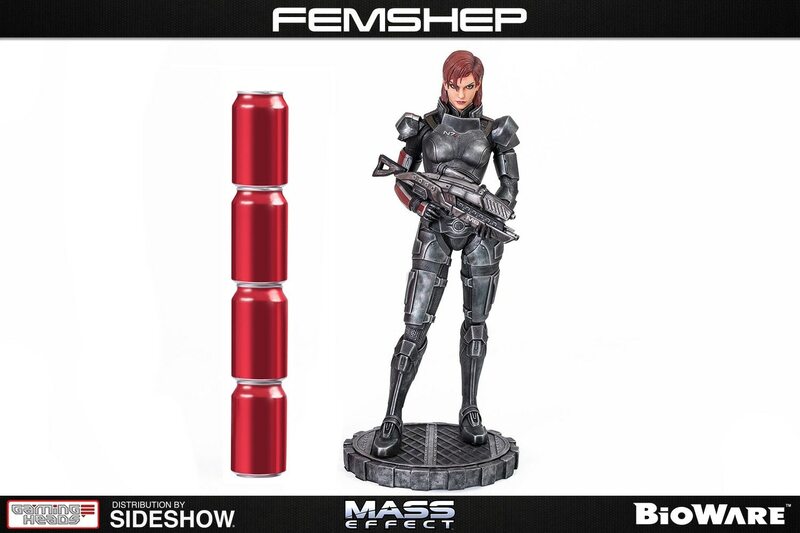 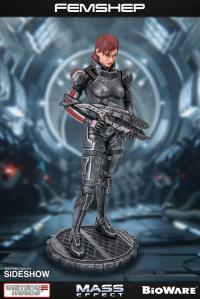 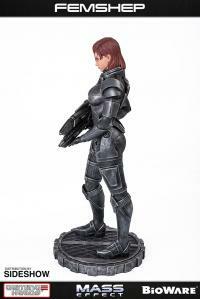 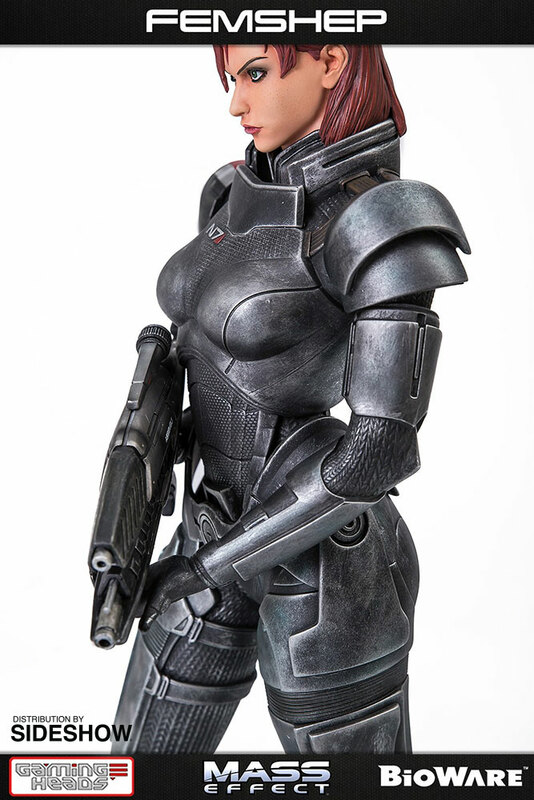 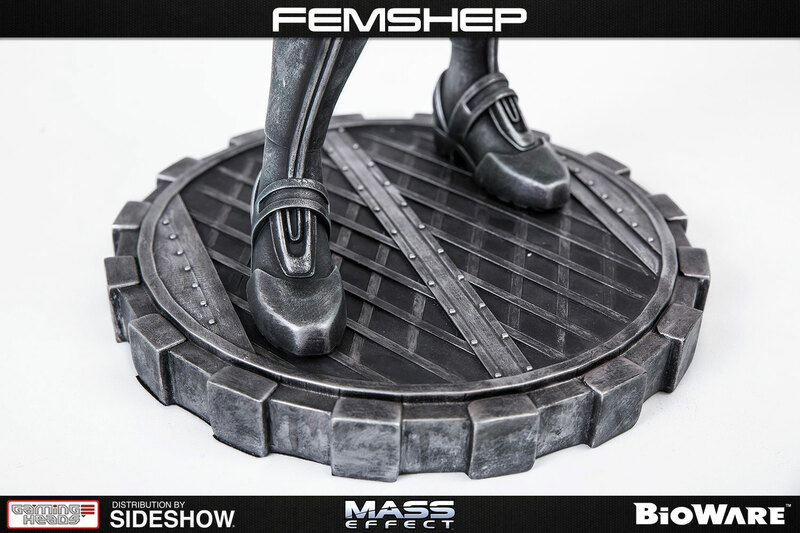 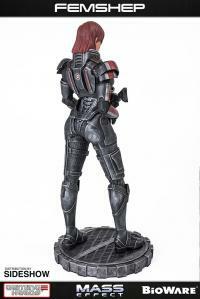 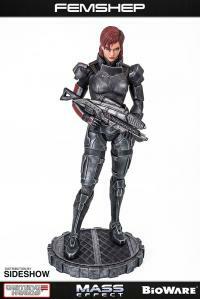 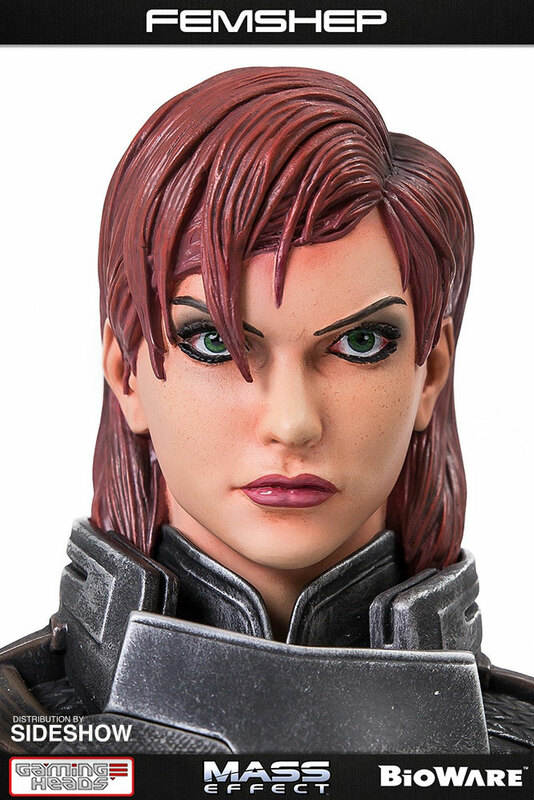 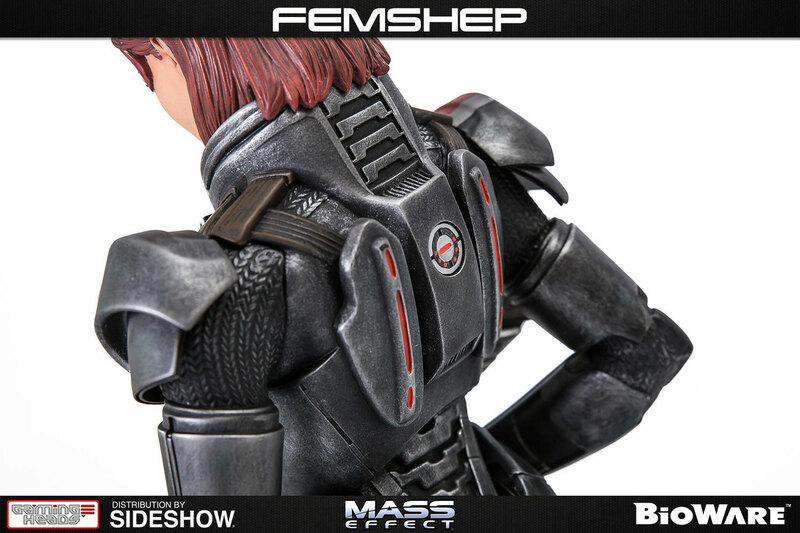 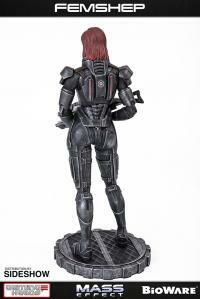 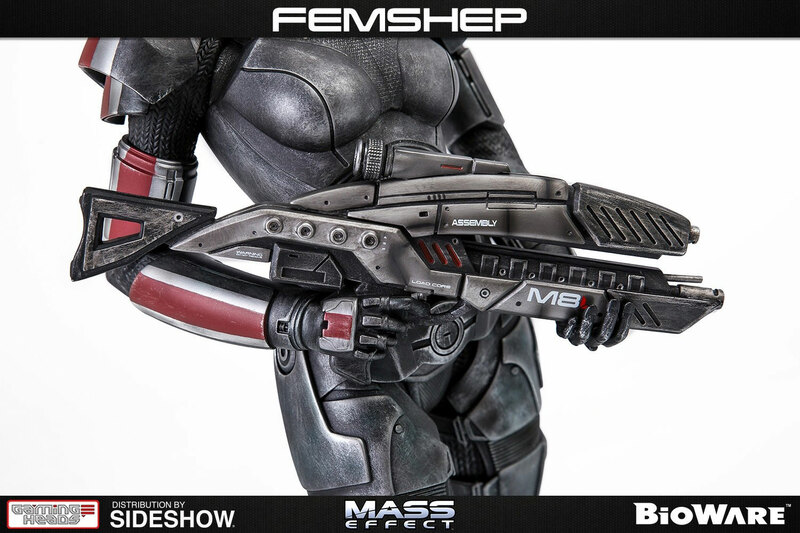 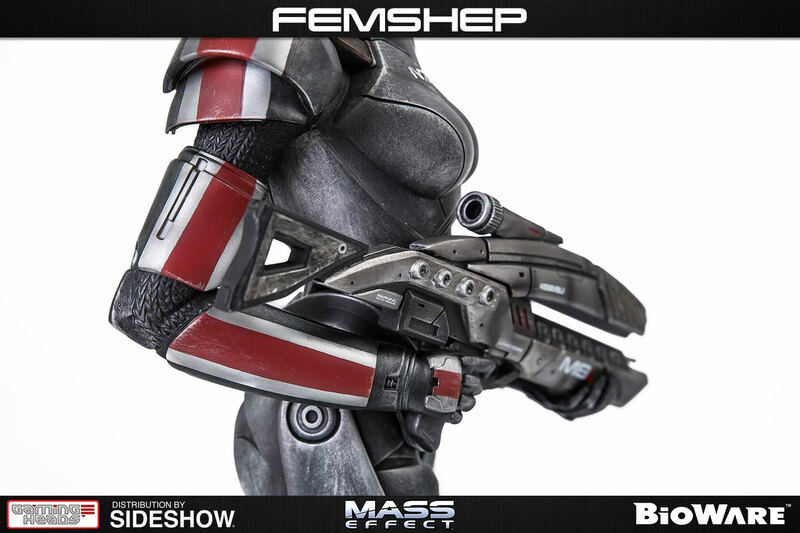 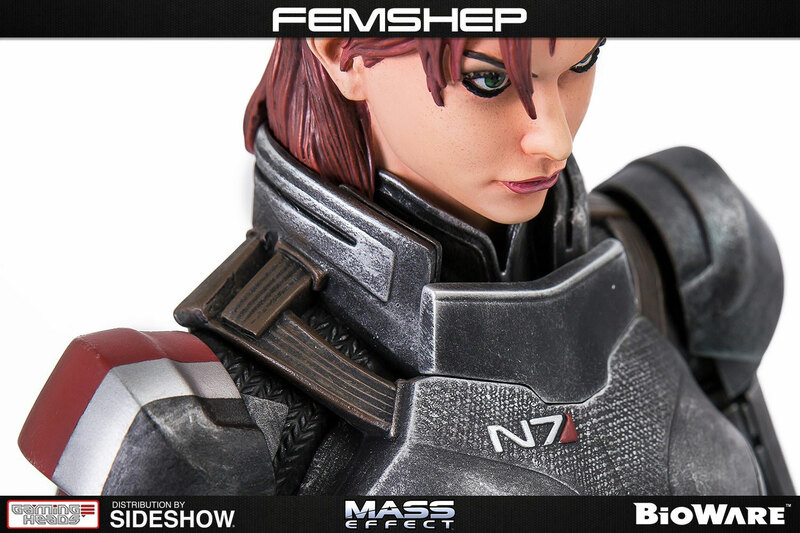 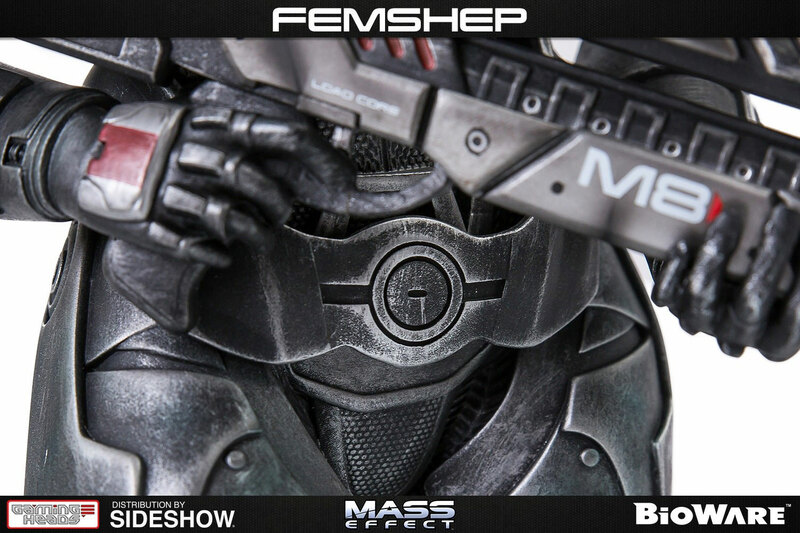 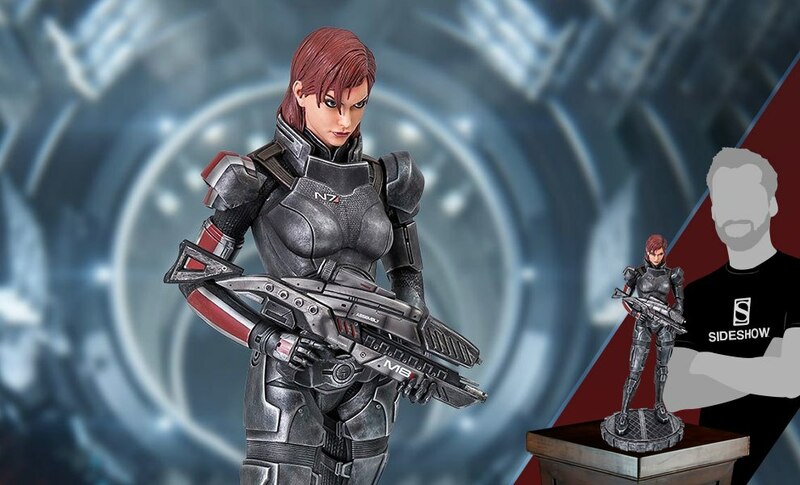 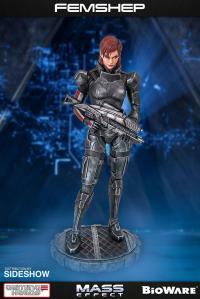 Sideshow and Gaming Heads are proud to present the Mass Effect: Femshep Statue. 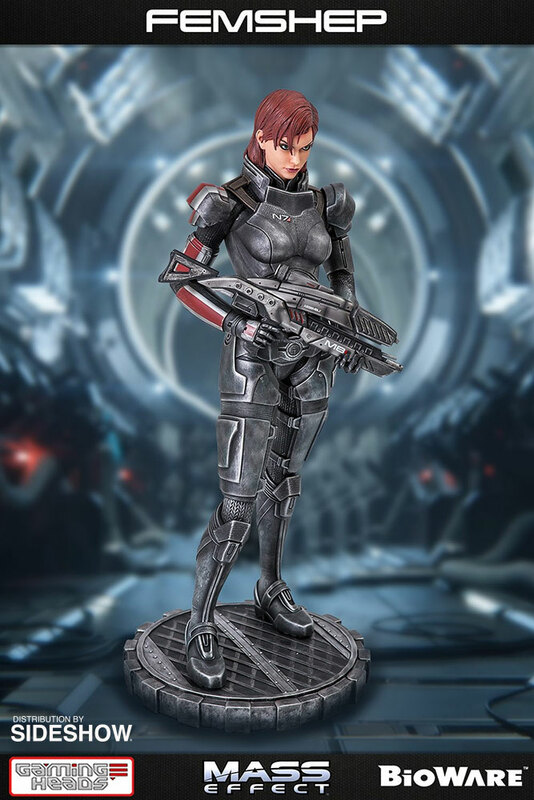 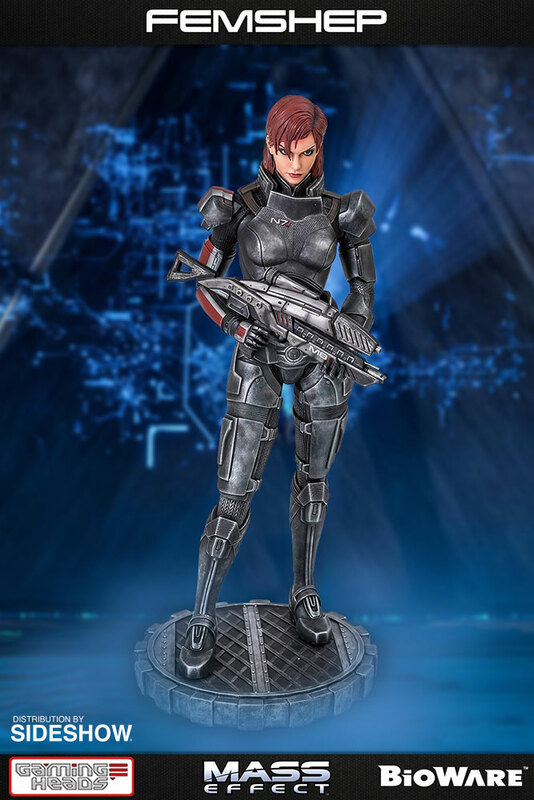 Standing approximately 20 inches tall including the base, the 1:4 Scale Femshep Statue is carefully cast in polystone resin and hand-painted by artisans to portray her with the ever-so reliable M8 Avenger assault rifle. Each statue arrives in deluxe full-color packaging, has a hand-numbered base, and includes a certificate of authenticity.